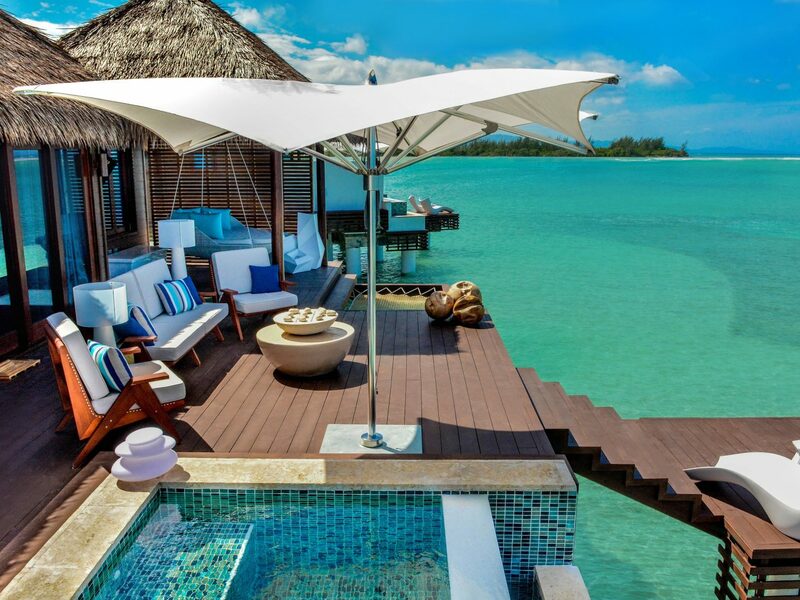 The coveted overwater bungalow resort experience is no longer exclusive to that far-off paradise we know as the South Pacific. 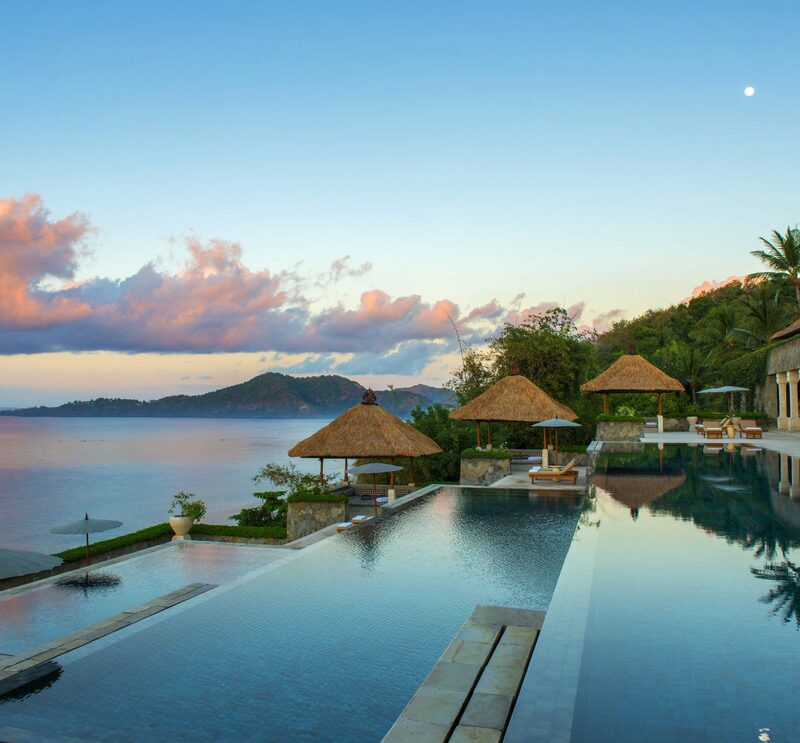 Now, a wave of new properties in the Caribbean, each with their own collection of stilted villas, is changing the hotel game. 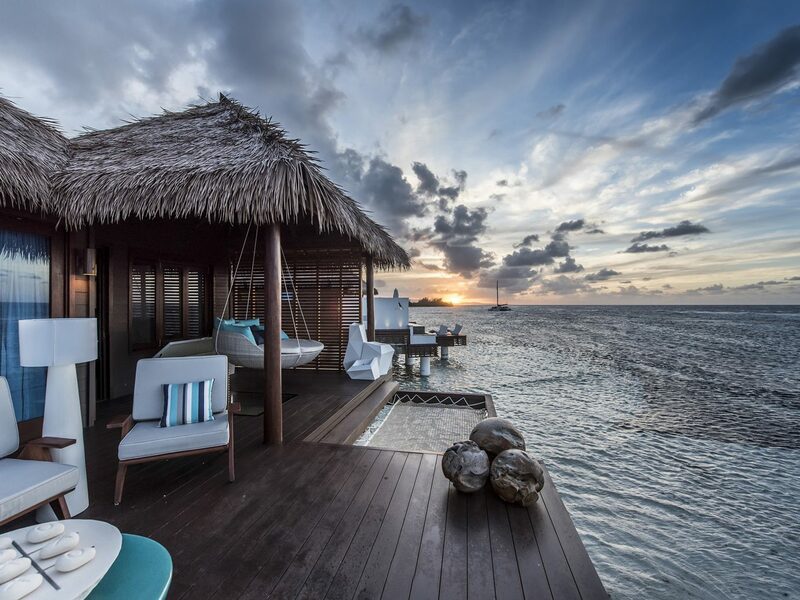 Overwater bungalow-style retreats have long remained exclusive to the waters of exotic, far-flung idylls like Tahiti, Bora Bora, and the Maldives. 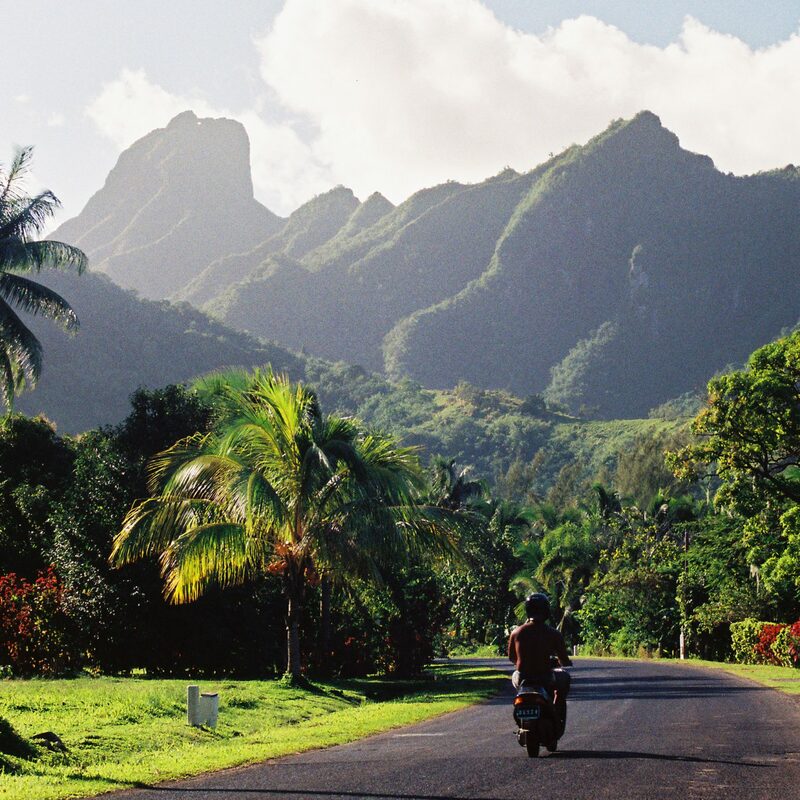 Granted, the region is gorgeous—the stuff of honeymoon dreams—but the multiple long-haul flights you have to take to get to these isolated islands? Not so glamorous. At long last, the experience we’ve been pining for is finally getting closer to home. 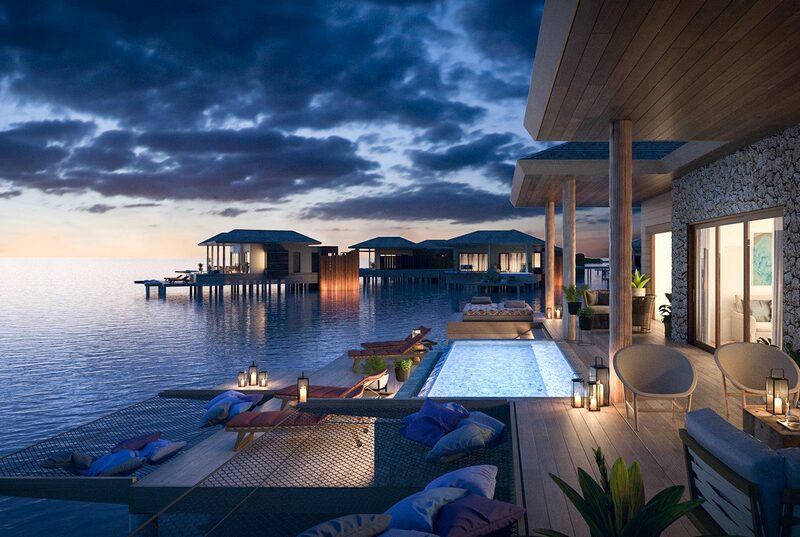 The first overwater bungalows to debut close to home? 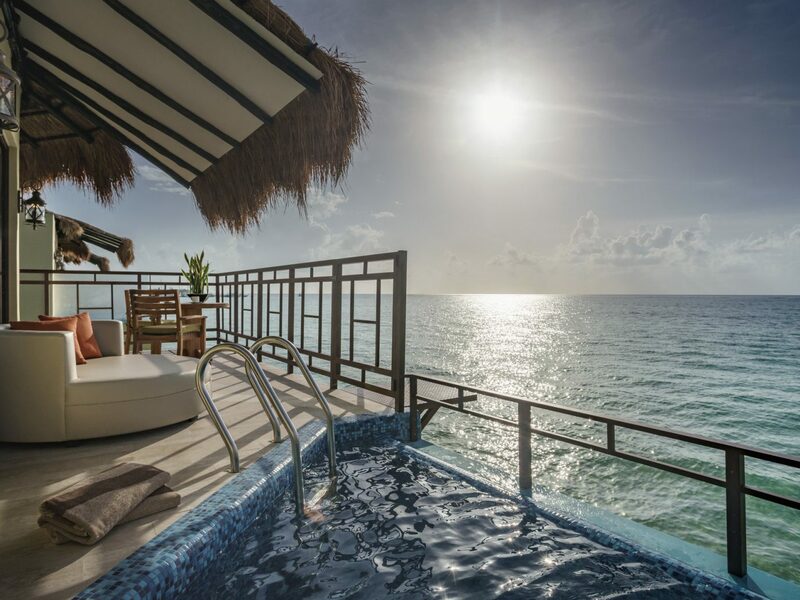 The Palafitos at El Dorado Maroma by Karisma, on a sunny stretch along Mexico’s Riviera Maya. 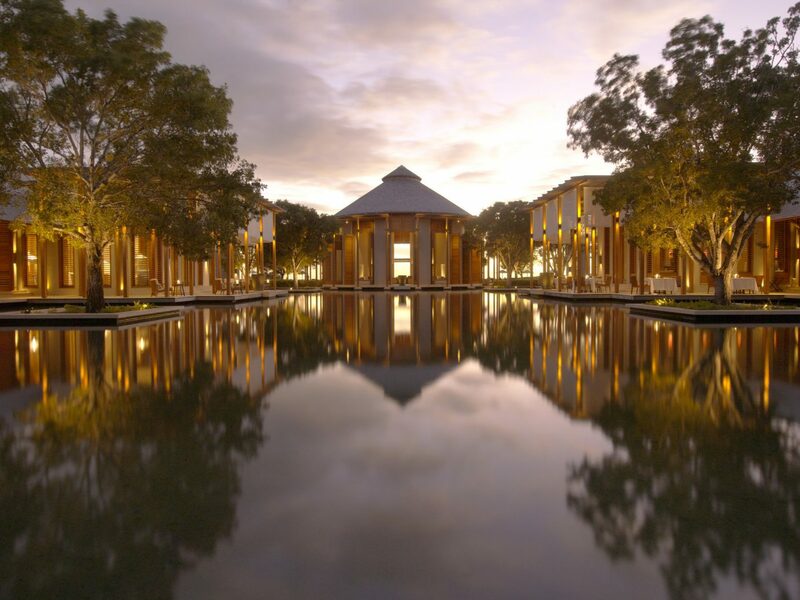 This adults-only resort took design inspiration from the country’s Aztec roots (whose ancestral communities built their homes over Lake Texcoco in the capital city of Tenochtitlán). 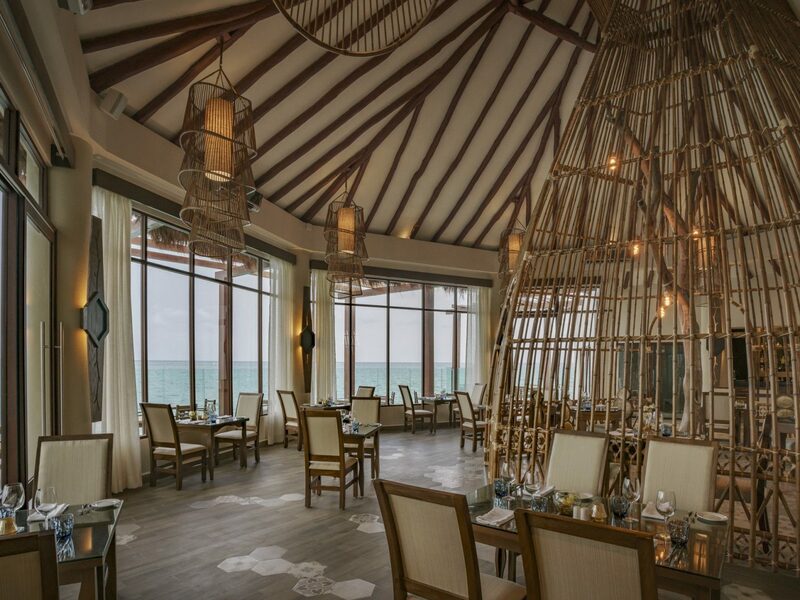 Each "palafito" is set on stilts over the Caribbean Sea and features furniture made from local Zapote wood and Mexican white granite, along with thatched palapa-style roofs and glass floor panels where you can spy native fish darting by. All that space (800 square feet, to be exact) allows for roomy outdoor showers and plenty of nooks for enjoying your 24-hour room service and premium drinks (part of the all-inclusive rate). 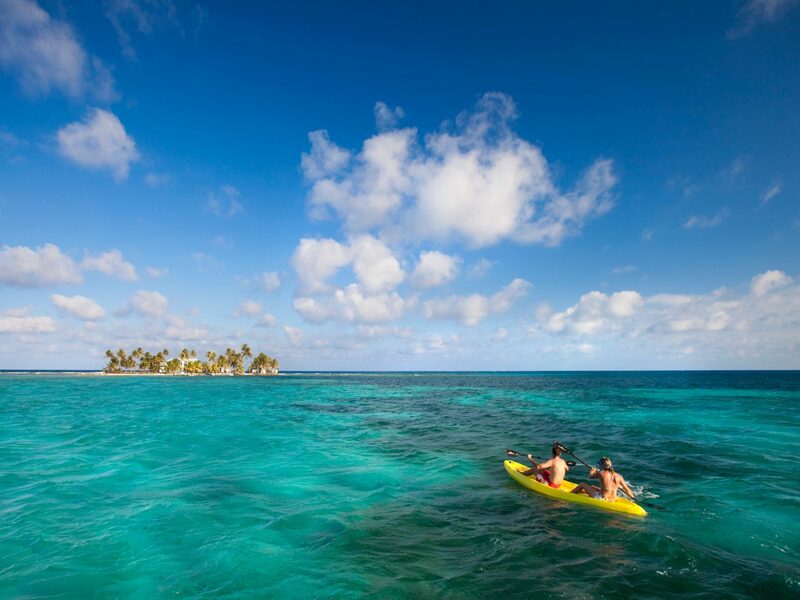 Further east, Sandals, that adults-only all-inclusive resort machine, is starting to make its own mark. 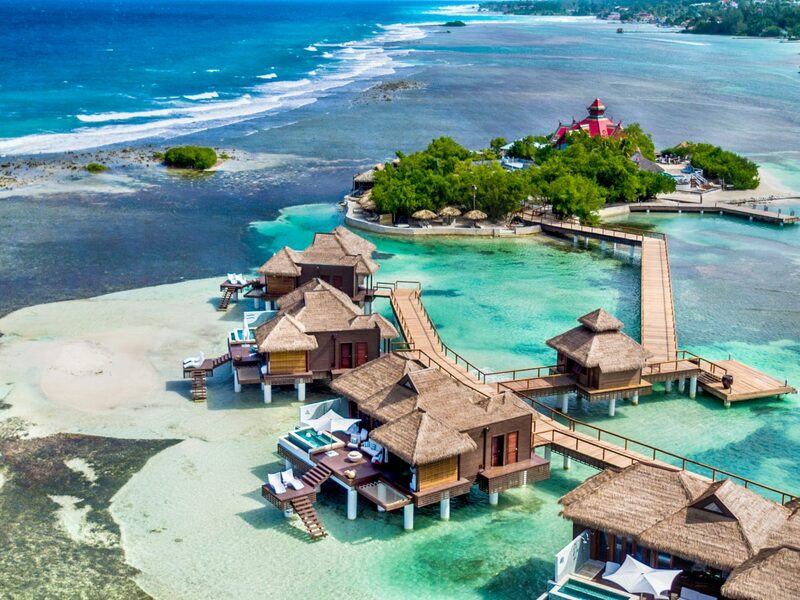 Sandals Royal Caribbean Resort recently debuted five overwater bungalows off Jamaica’s Montego Bay, each with floating decks that double as living rooms, infinity pools, soaking tubs for two, private butlers and water taxis for getting to and from the resort. All is yours to enjoy if you can ever take yourself away from your personal hammock, which hangs suspended over the water. 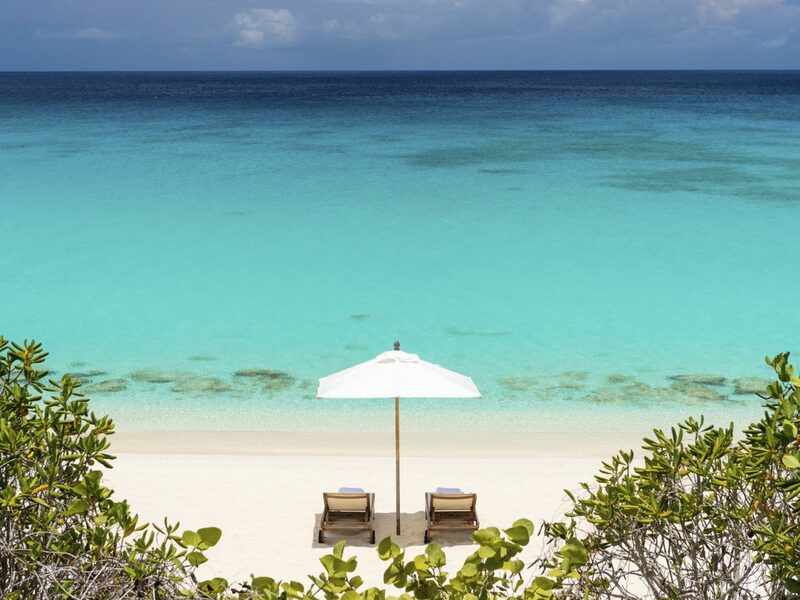 One warning: if you’re expecting to score the same kind of deal Sandals properties are typically known for, think again. 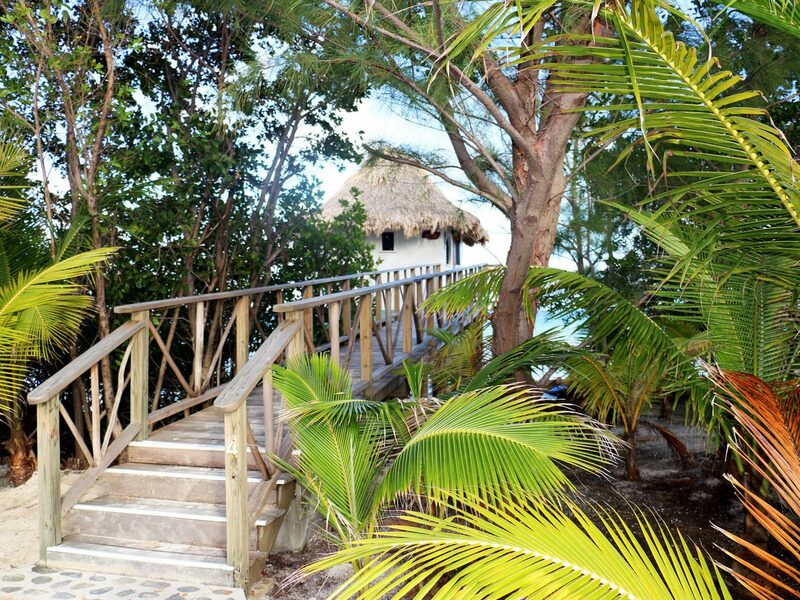 These bungalows cost upwards of $1,000 a night. 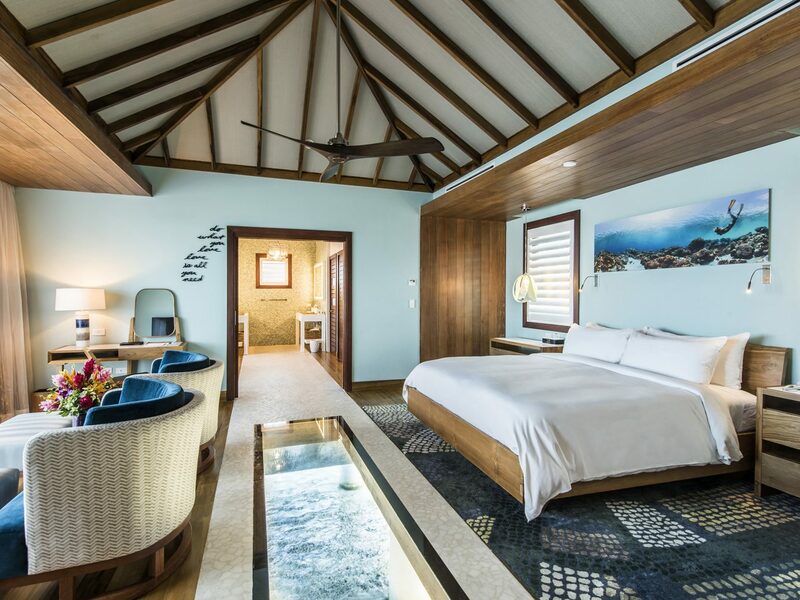 Down in St. Lucia, Sandals Grande St. Lucian has introduced nine of its own over-the-water villas with the same inclusive luxuries (including lit glass floors that allow for ocean peeping any time of day). 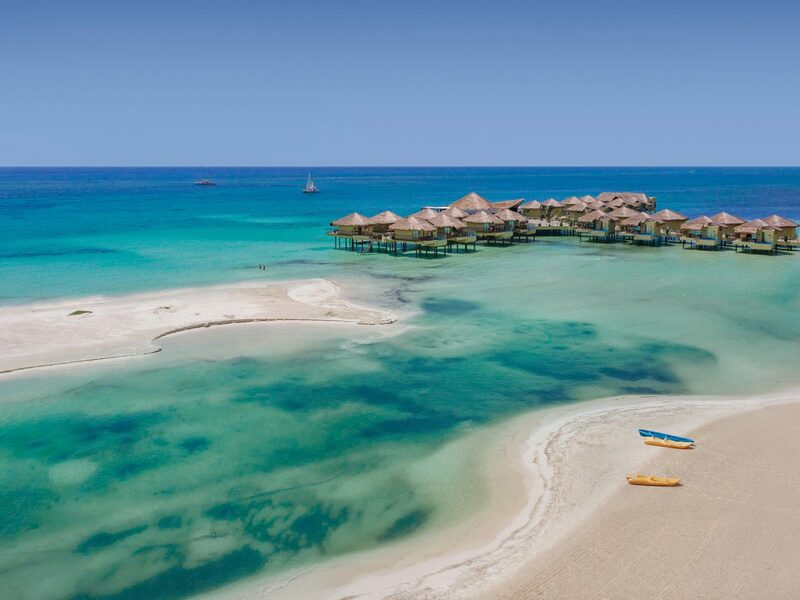 And 12 new bungalows will soon be added to Sandals South Coast, on Jamaica’s northwestern coast, this November. 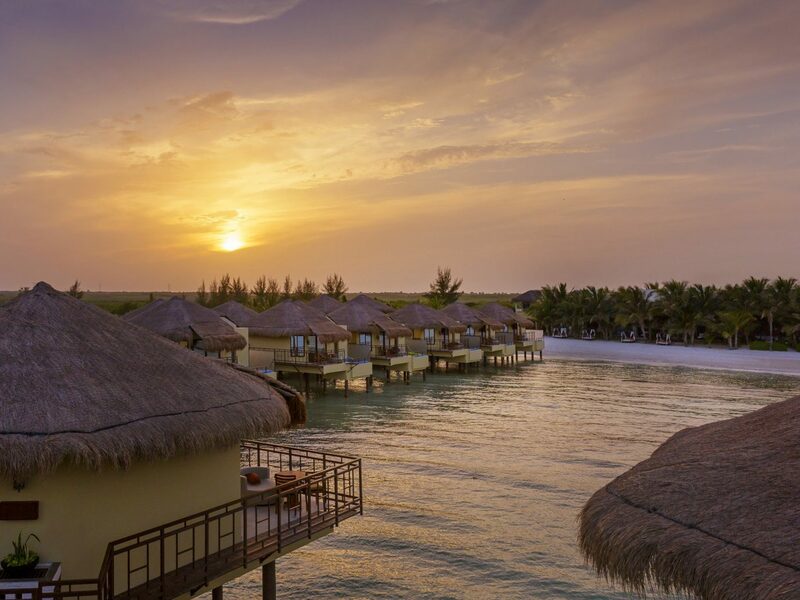 Thatch Caye Resort, a nature-lover’s paradise nine miles off the coast of south-central Belize, has been in the overwater bungalow game for a few years now, but has flown relatively under the radar. 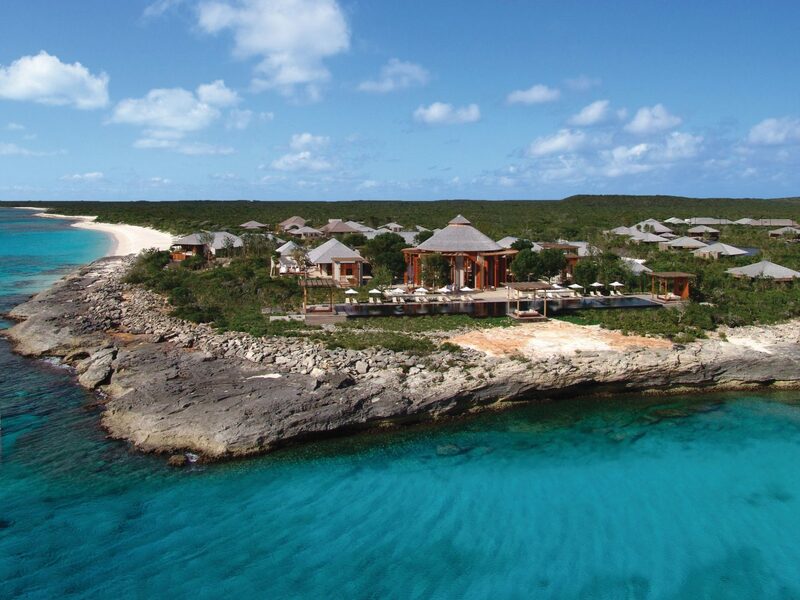 This private-island hideaway offers off-the-grid luxury with an eco-conscious spin. 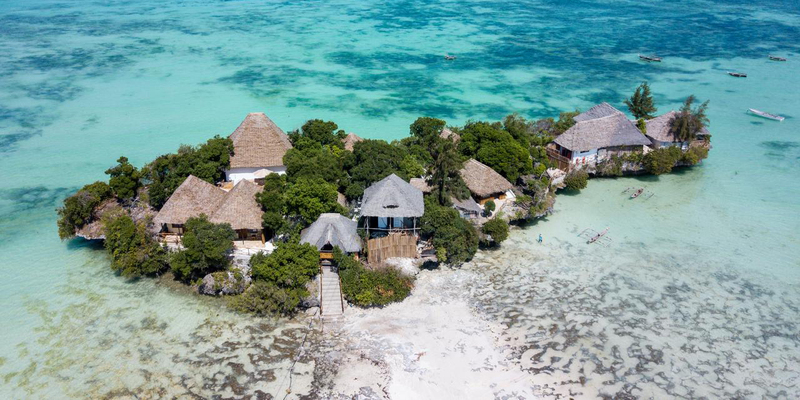 Everything is run by solar and wind power, including the five overwater bungalows (complete with private baths, decks with hammocks, and ceilings made from bamboo) and the restaurant, which hosts communal dinners—a perfect ending to days spent snorkeling the world’s second-largest barrier reef. 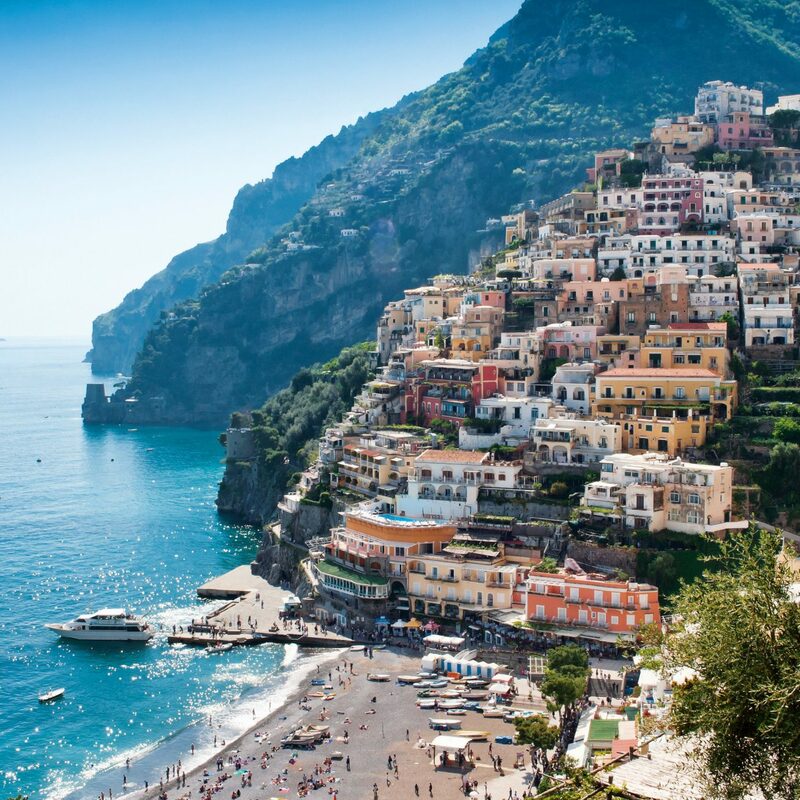 Are you more in the mood for over-the-top luxury? Not to fret. 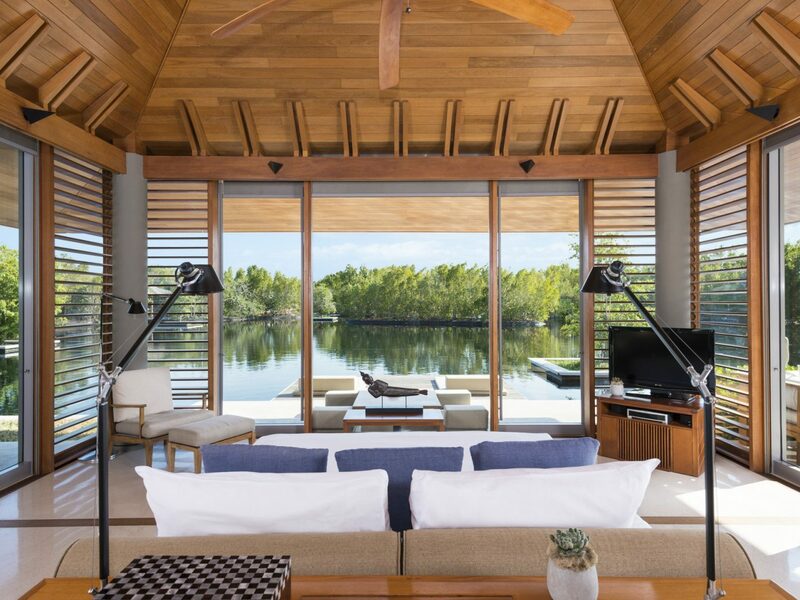 While it may not have overwater bungalows in the traditional sense, Amanyara, on the western shore of Providenciales, in Turks and Caicos, offers the next best thing: 28 pagoda-style villas perched right on the edge of tranquil ponds, mere steps from the ocean. 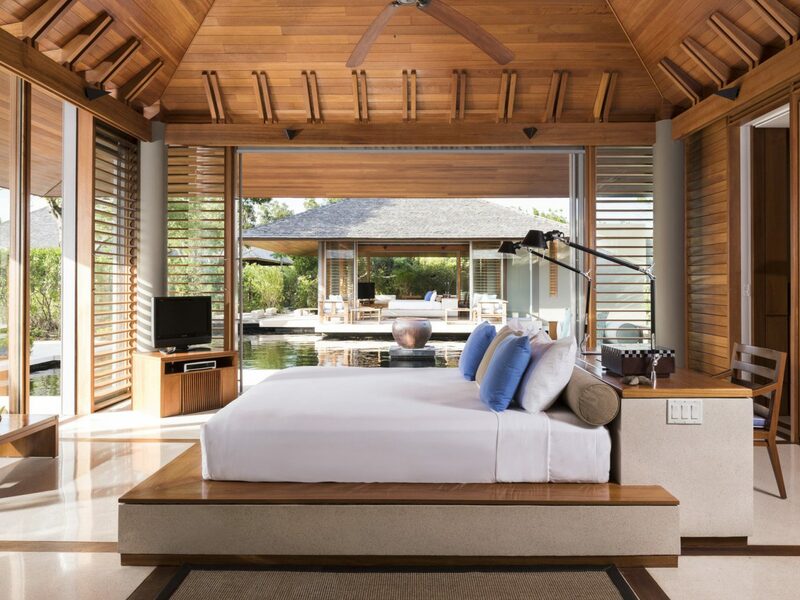 Done up in Aman’s signature Asian-inspired style—Indonesian teak, sloping ceilings, rattan armchairs—and far removed from the buzz of Grace Bay, this is tranquility in its purest form. So what’s next? As they say, good things come to those who wait. 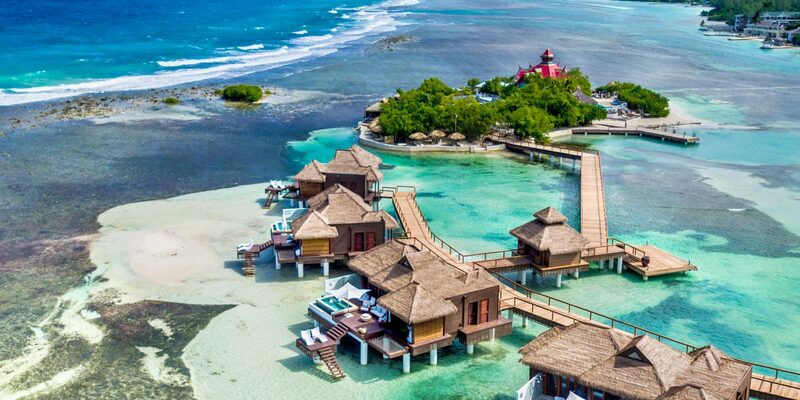 Viceroy Bocas del Toro, projected to open by 2020 on Panama’s Caribbean coast, is poised to be the most luxurious of all Caribbean overwater bungalows. 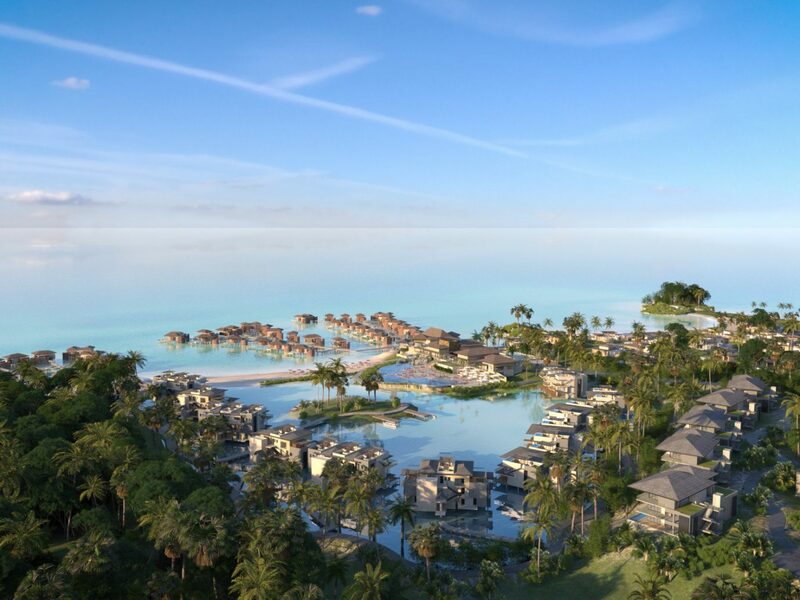 The 42 dreamy villas will spread out across 457 acres and will be accessible only by boat.